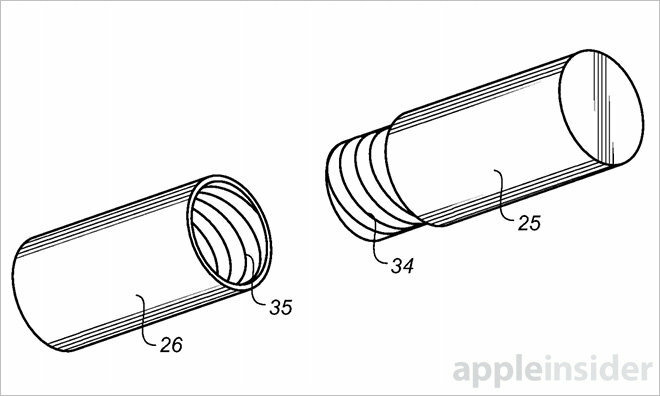 A pair of Apple patent applications published by the U.S. Patent and Trademark Office on Thursday describe a display capable of displaying 2D and 3D images at the same time and a portable cellular hotpot with a unique cylindrical design. 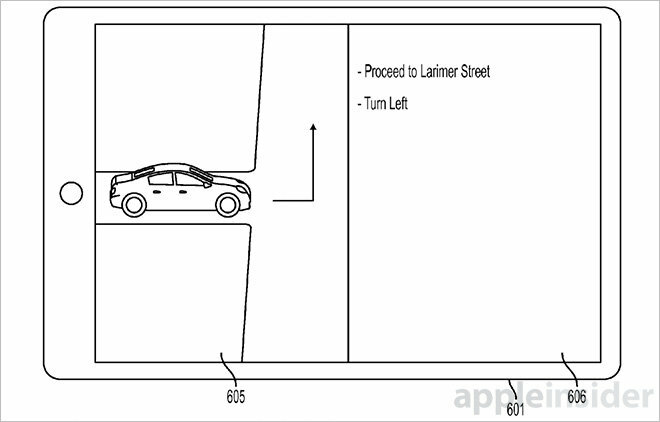 In its patent application for a Spatially interactive computing device," Apple describes an advanced display system that can output 2D images, 3D images or both at the same time, all without the need for special glasses. Additionally, the device is capable of displaying multiple image views, allowing different viewers to see different images from a single screen. In one embodiment, the display employs one or more overlay layers to control and adjust output down to the pixel level. Overlays can incorporate and/or combine LCD matrix pixel masks, lenses and a plurality of LCD layers configurable as lenses to output specific portions of the display to a user's left and right eyes. Alternatively, layers may be manipulated to display distinct images to one or more viewers. An image sensor tracks users' eyes to gather movement data that is subsequently fed to a processing unit. Combining this information with display and overlay orientation (detected by onboard motion sensors) allows highly specific output to be presented to a user or users. For example, using gaze tracking technology, portions of a display and one or more LCD matrix layers can be activated or deactivated to present different images to a user's left and right eye. Other embodiments cover methods of achieving the same goal using microlenses, circular lenses, panels with controlled liquid crystal density and more. If executed correctly, the concept would bring a completely new dimension to content consumption. Users would be able to "look around" a three-dimensional image as if they were walking around a virtual object displayed onscreen, or view 2D/3D images and movies with friends. 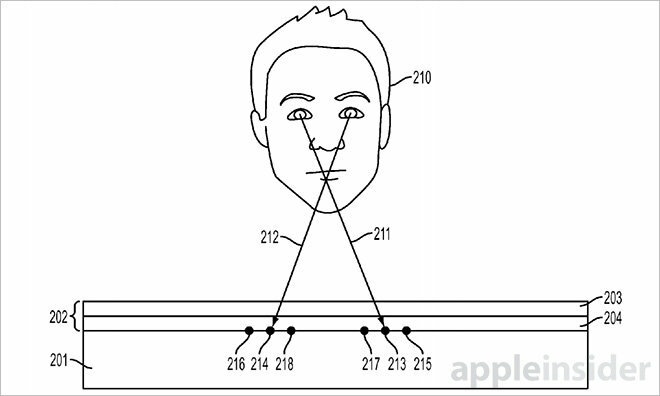 Apple first applied for its eye-tracking 3D panel patent in November 2013, crediting Brett C. Bilbrey, Ashley N. Saulsbury and David I. Simon as inventors. Apple's invention, simply titled Hotspot device," describes an ultra-compact cellular hotspot solution that solves a few problems plaguing existing products. In the document points out iPhone owners sometimes tether other devices to their smartphone, like MacBooks or non-cellular iPads. However, Apple recognizes that users may find it inconvenient to tote around multiple devices just to connect to the internet, especially when taking part in activities like jogging or hiking. Conventional mobile hotspots come with a number of disadvantages, including poor battery life and physical controls prone to accidental activation. 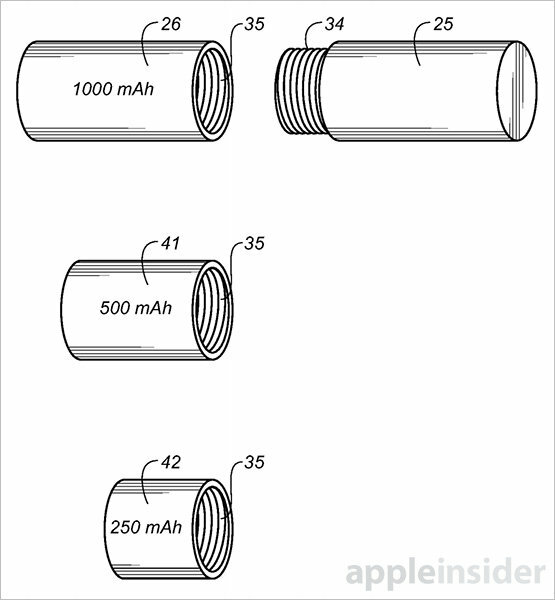 Addressing these problems, Apple proposes a small, two-piece cylindrical hotspot with no external controls. One half of the device contains functional circuitry like a logic board, antennas and SIM card reader, while the other half holds a battery pack that can be swapped out for higher capacity cells. Instead of switches and buttons, users operate the device simply by twisting the two sections in opposite directions. Inside, electrical detents engage one another when the two halves are rotated, turning the device on and off. Apple's portable hotspot patent application was first filed in November 2013 and credits Anthony S. Montevirgen and David G. Havskjold as its inventors.